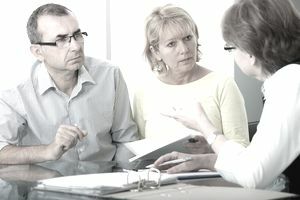 Whether you should do a short sale or let the home go to foreclosure depends on several factors. While for some homeowners, it is easier to throw up their hands and let the bank take the home, that might not be the wisest thing to do. Regardless of which approach you choose, always obtain legal and tax advice before making a decision between a short sale or a foreclosure. You may sleep better knowing who is buying your home. You will spare yourself the social stigma of the "F" word, foreclosure. Contrary to popular belief, you can often stay current on your payments and still apply for a short sale. Your home sale will be handled like any other home sale, with respect and dignity. You can stop making payments and live in the home until you get kicked out. For some, it's revenge; you might feel better initially telling the bank where to go when it refused your loan modification. If something breaks or malfunctions, you don't have to fix it. You can leave the home behind and simply walk away. Fannie Mae's 2016 guidelines allow you to reapply for a mortgage four years after a short sale with a 10 percent downpayment. If you sold your home as a short sale due to extenuating circumstances, you can reapply for a Fannie Mae-backed mortgage after two years with appropriate documentation of the circumstances. You may also qualify for an FHA loan one year after a short sale. Bear in mind that Fannie Mae and FHA guidelines are not a guarantee you will be able to buy a home after suggested timeframes. Banks have the final say and often include overlays that can change the guidelines set forth by the government. Ask your loan office to clarify before relying on federal guidelines. If your foreclosure was due to extenuating circumstances, you may be eligible to buy another home in three years. Otherwise, the standard waiting period remains seven years, notes Fannie Mae in its latest guidelines. Similar to its short sale guidelines, FHA allows those who foreclosed on their homes to reapply for mortgages after 12 months. A short sale may be considered to be a derogatory mark on your credit even though credit bureaus do not use the word "short sale" on your credit report. Your credit report may read "paid in full for less than agreed" or "settled for less," among other categories. Certain HAFA guidelines allow for "no hit to credit" and can show up as paid in full. Depending on your credit history, Myfico.com offers two examples in which a credit score could fall significantly after a foreclosure. Generally, a foreclosure remain on your credit report for seven years. Judgments are often negotiated between the seller and the short sale lender. In some states, such as California, if the home is your personal residence and was financed through purchase money, there is no deficiency judgment. Loan applications typically do not require you to include information about short sales. You may report that you sold your home. You are, however, required to answer the question: "Have you ever had a property foreclosed upon or given a deed-in-lieu thereof in the past seven years." If the lender sees you have had a foreclosure, your loan may be denied. If you've had a foreclosure notice filed, you may be able to postpone that action while the bank considers a short sale. The wait for short sale approval can be from two to three months, or longer. In a foreclosure, unless prior arrangements have been made, the lender may want you to immediately vacate the property and may commence eviction proceedings if you delay. A personal residence is exempt from mortgage debt relief on a federal level as long as the government continues to extend this exemption. Some states still tax you unless you qualify for an exemption. An investor is not exempt from mortgage debt relief, subject to certain conditions. For owners who foreclose on their homes, some lenders immediately send out 1099s, which report the amount of relief as compensation to the owner, even if the owner is exempt.